This is simply one of the best Xbox deals we've seen all year, and a simply fantastic Black Friday Xbox One S bundle. 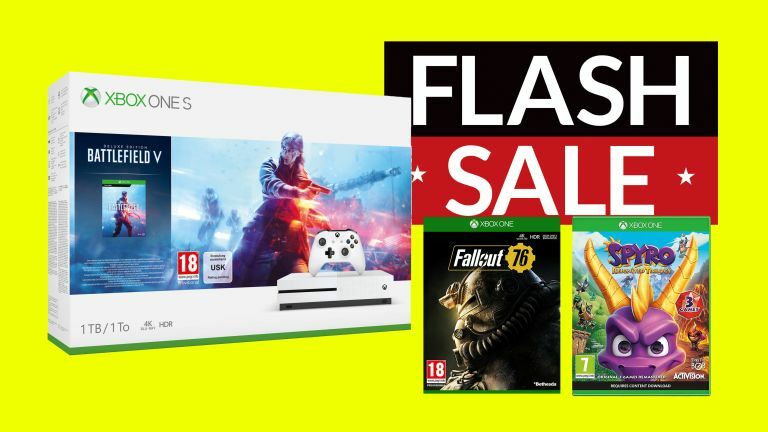 That's because if you head over to Amazon immediately you can get the Ultra HD Blu-ray player packing Xbox One S 1TB console along with Fallout 76, Battlefield V, and Spyro Reignited Trilogy for £130 less than normal. T3 really liked the Xbox One S on review, praising its "4K Ultra HD hotness" and smaller, more attractive design. It can't do the native 4K output for games that the more powerful and expensive Xbox One X can, but it can play 4K Blu-rays and if you have an upscaling 4K TV then you can enjoy upscaled Full HD gaming and native 4K movies and TV.